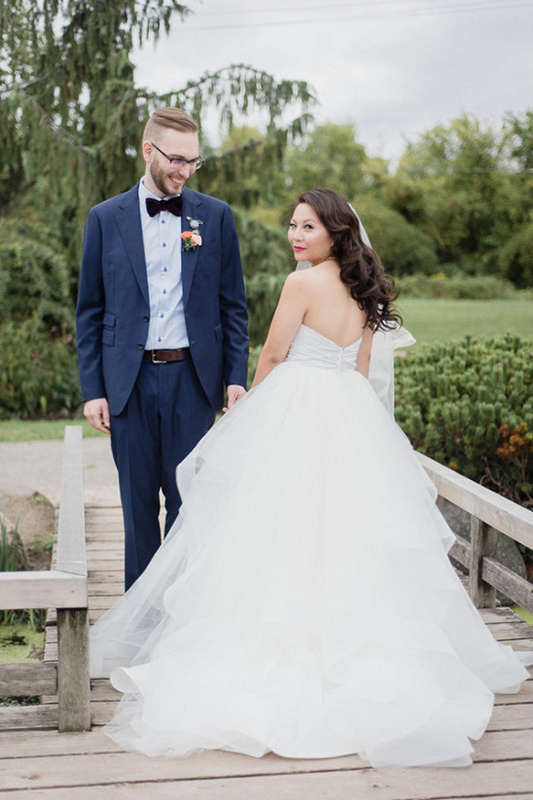 Rain couldn't dampen the spirits of this next adorable couple! 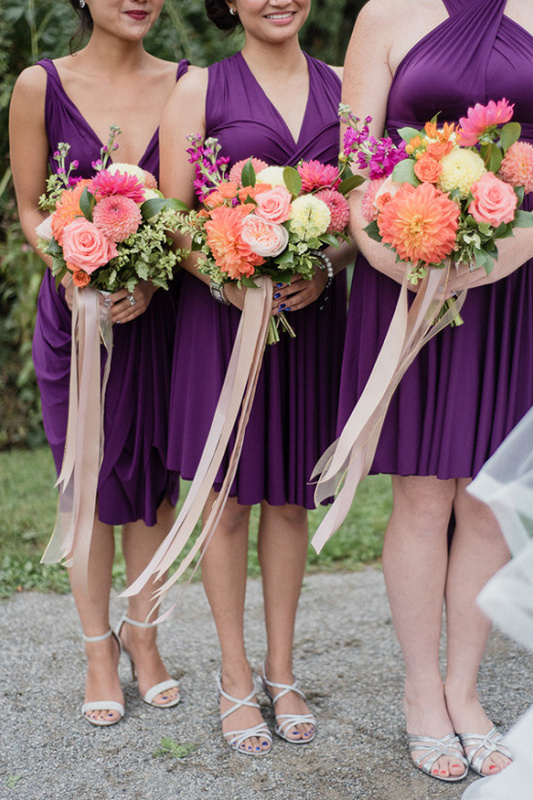 Smiles and laughter abound through out their bright purple and navy wedding day with a theme we just adore! 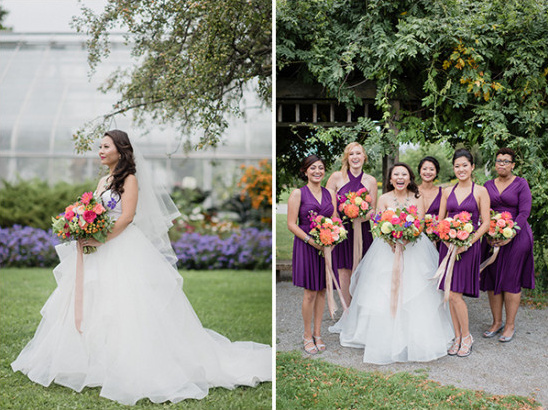 Keep reading to get a bit of solid wedding advice from the beautiful bride and to see more of the fabulous photos from Jenn Kavanagh Photography check out the full gallery here! 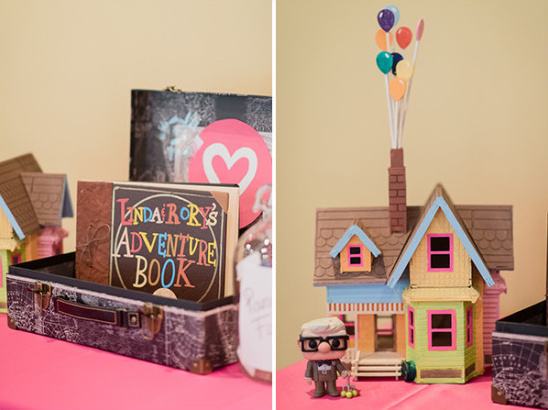 From KJ and Co.: Linda and Rory love Pixar's movie Up and chose it for the inspiration behind their colourful wedding day. 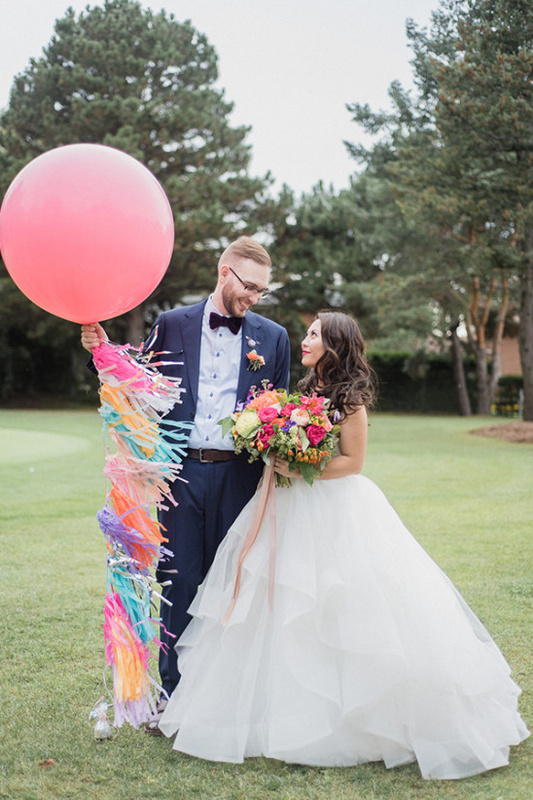 From the beginning, they wanted a wedding that was "fun, colourful, whimsical" and felt like them. 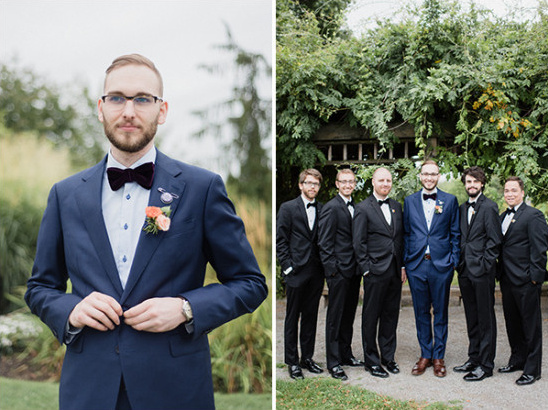 On the wedding day, Rory & Linda met at Centennial Park for photos just in time to beat the rain. 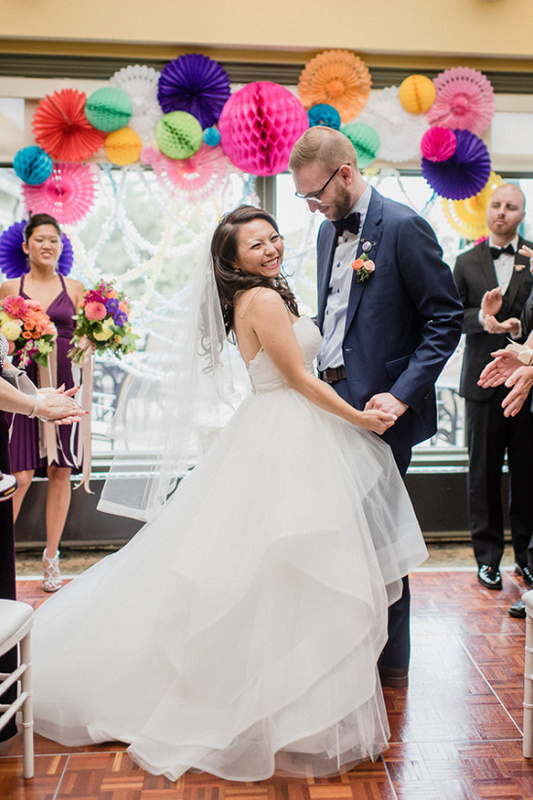 Unfortunately we needed to move their wedding ceremony indoors, and the quirky paper fan backdrop planned for the club's arbor was set up in the reception room instead. 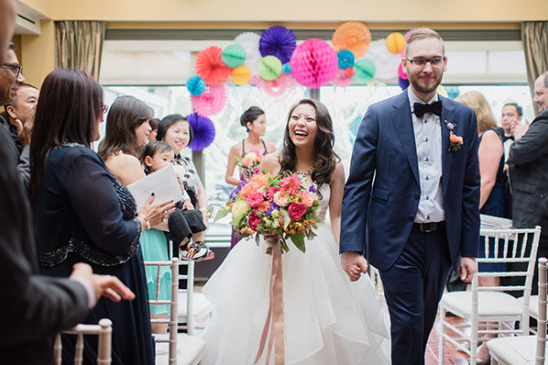 Linda and Rory took it in stride and their huge smiles throughout the day show that nothing could spoil the day. 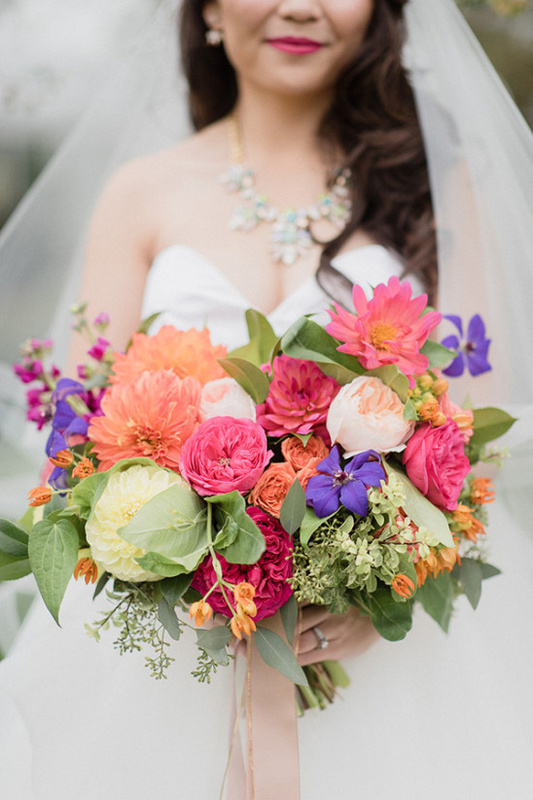 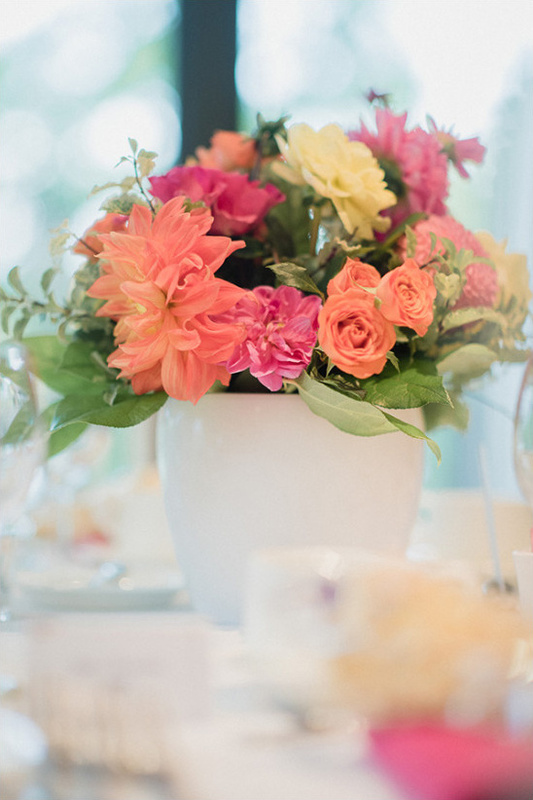 Becky from Blush & Bloom was the perfect addition to the team for florals. 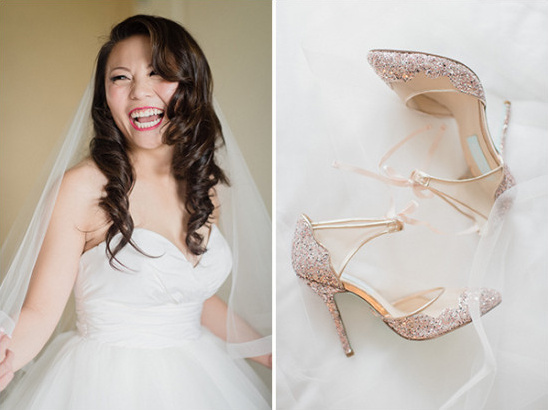 Her work is always drop dead gorgeous and a bright colour palette was a nice change. 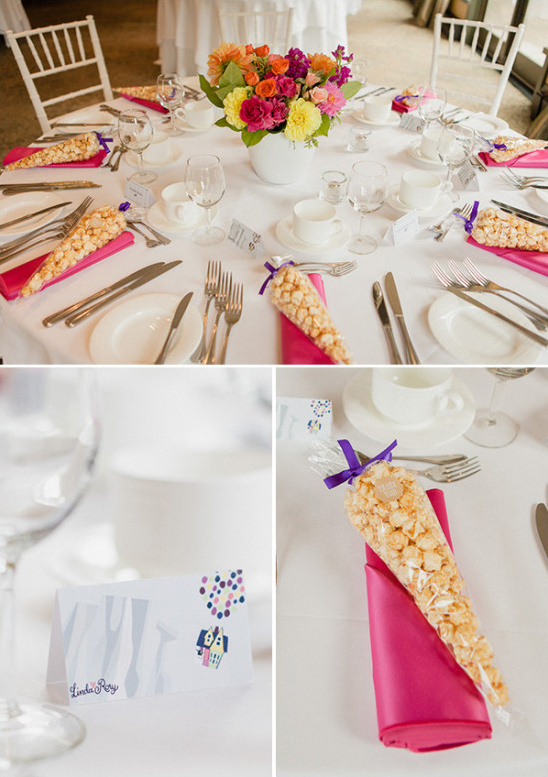 Not to hit guests over the head with brights everywhere, we opted for crisp white linens and chairs with pops of colour from the napkins and flowers. 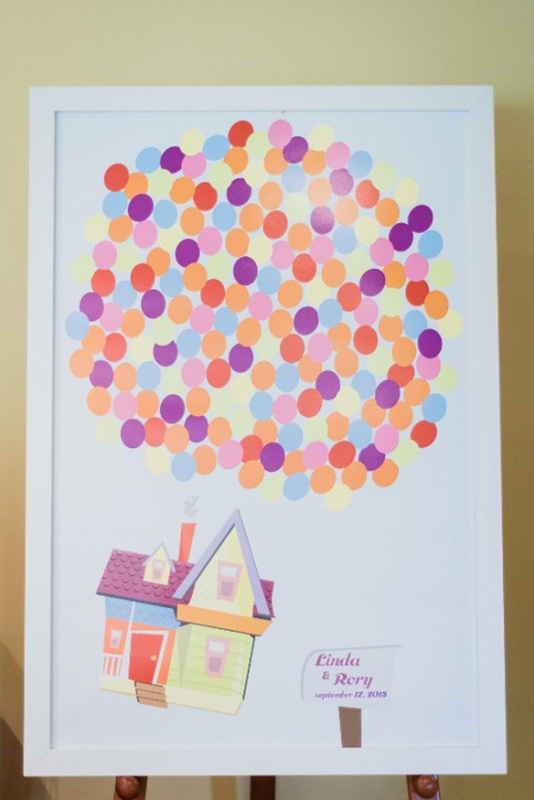 The Up theme was repeated on the paper goods as well, designed by a friend of the bride and groom. 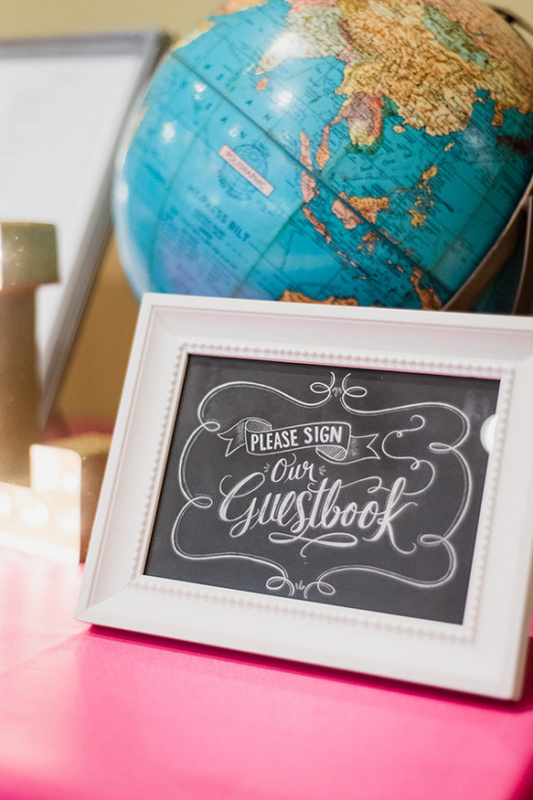 From the Bride: My only advice too all the future brides out there is that if you're planning to get ready at another location, make sure you make a checklist of everything you need to bring. 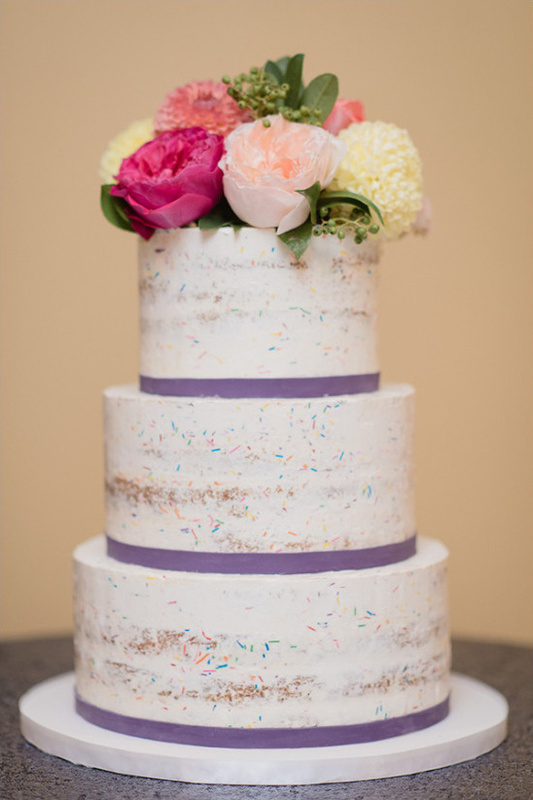 I ended up packing my luggage last minute and ended up forgetting a jacket for the next day, my wedding cake topper, clothes for the day after the wedding. 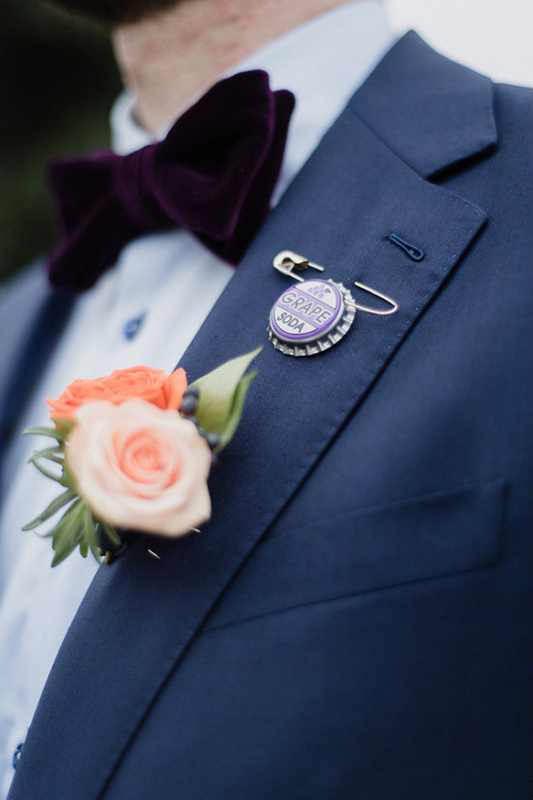 Even though I forgot my wedding cake topper, I didn't let it get to me because it wasn't important, it was just an small accessory to the wedding.